Passing of Life Member C. Edwin "Bunk" Grimmel Sr. 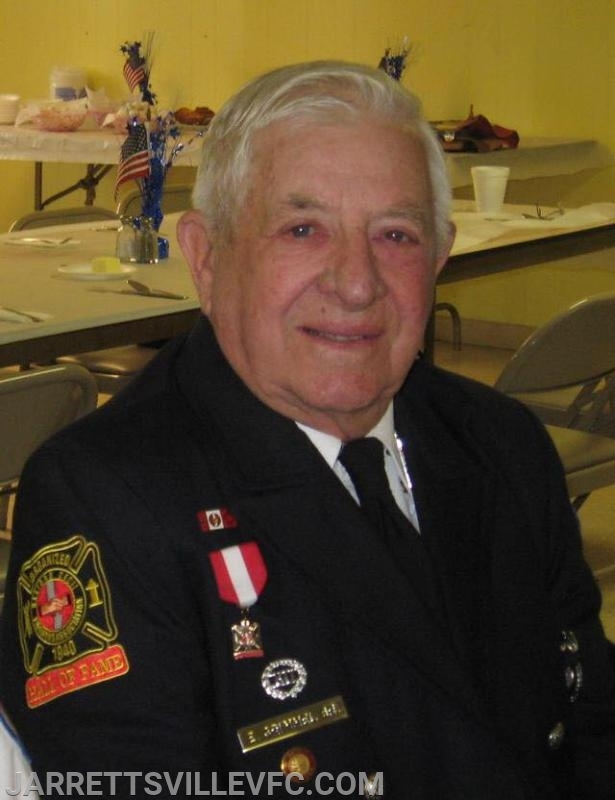 The Officers and Members of the Jarrettsville Volunteer Fire Company would like to express our sincere condolences at the passing of Life Member and Senior Man C. Edwin Grimmel Sr. or as many know him as "Bunk". Bunk began his membership with JVFC in January 1941. He served many roles such as Captain, Lieutenant, Chief Engineer and Director. He was a Top Responder for over 65 years and was also an apparatus driver for over 60 years. Bunk served on many committees within the company and was also inducted into the Harford Cecil Hall of Fame in 1991. Bunk was a dedicated member of the Jarrettsville Volunteer Fire Company for over 77 years and he will surely be missed by all. Both the visitations and funeral service will be held at the Jarrettsville Gardens located at 3825 Federal Hill Road Jarrettsville, MD 21084.